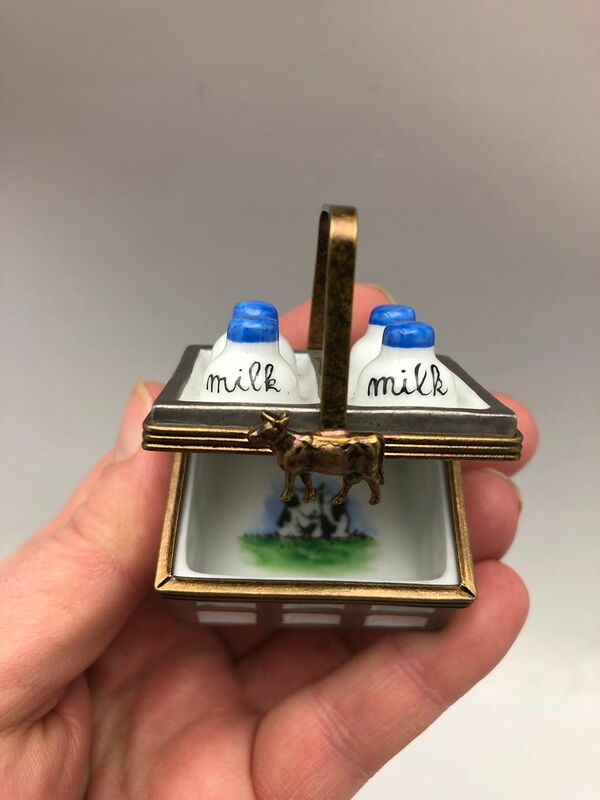 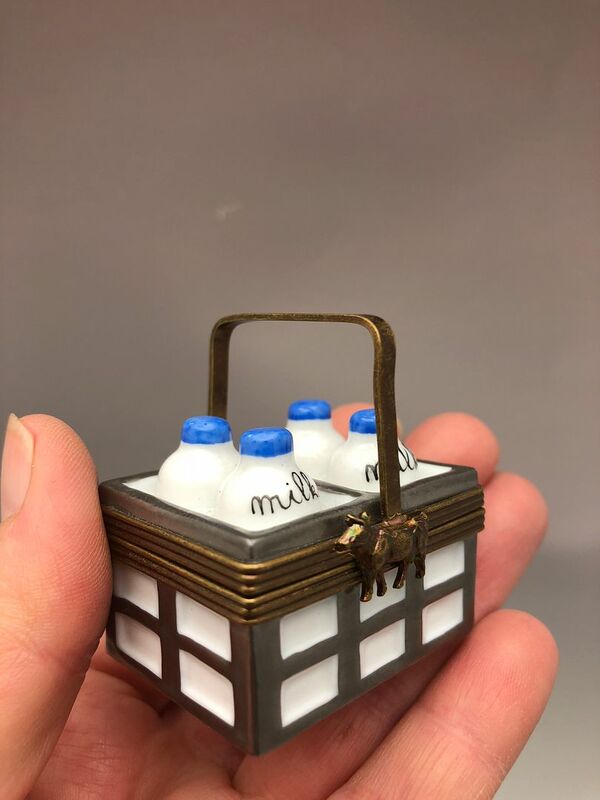 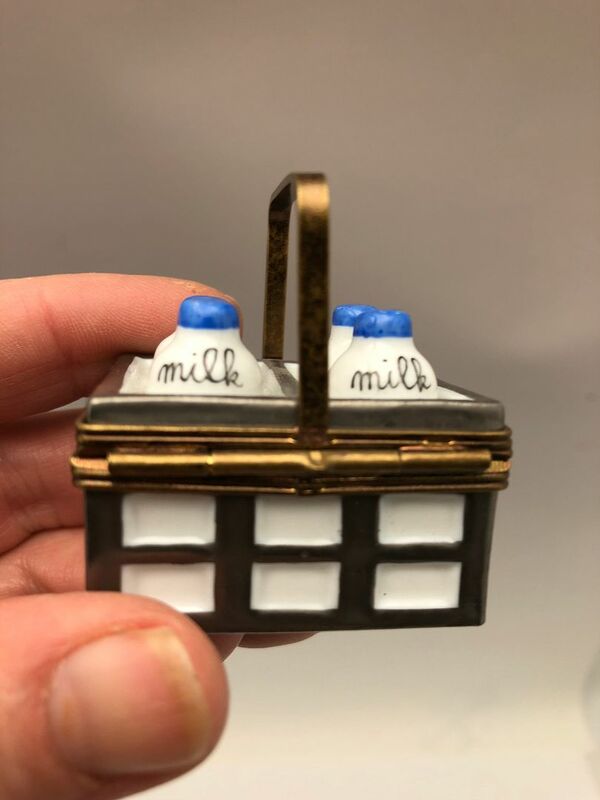 Genuine Limoge milk bottle Crate miniature porcelain box. 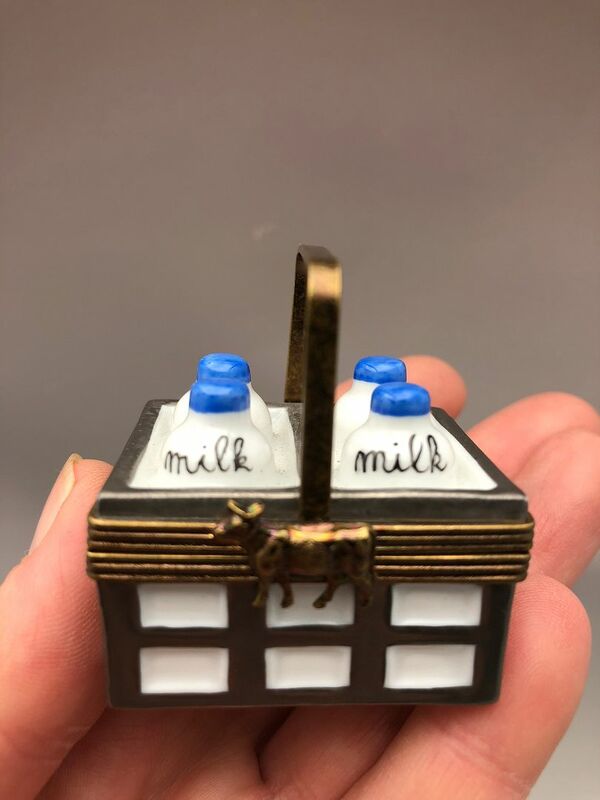 The box features a wonderful little cow on the hinge. 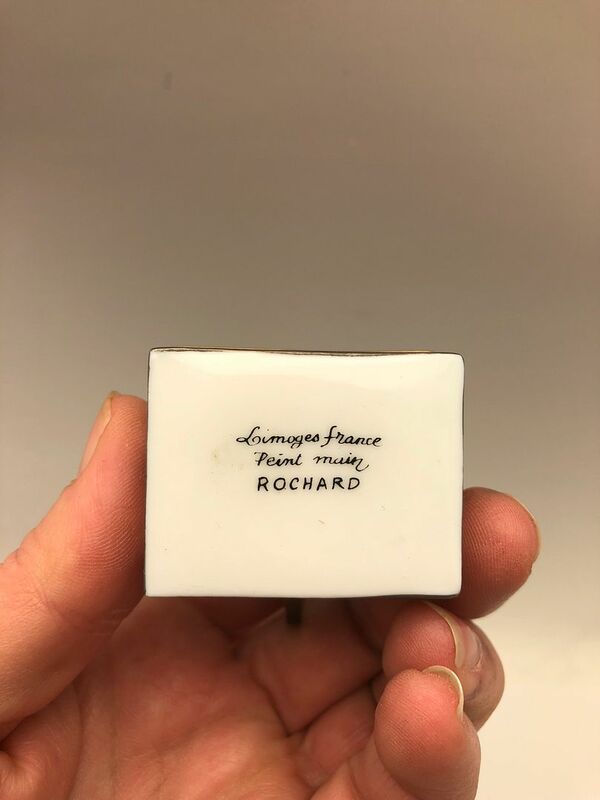 The box measures 1 3/4" wide by 1 1/2" tall by 7/8" deep.